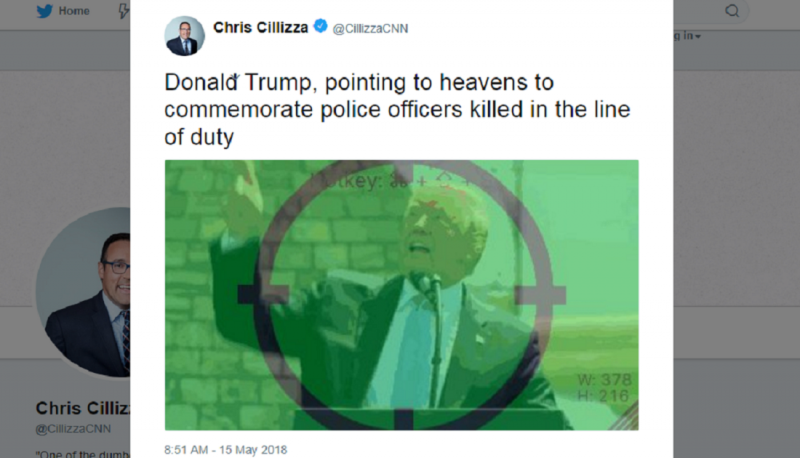 Chris Cillizza, arguably one of the most frequently ridiculed CNN pundits on Twitter, posted an animated image yesterday in which a software glitch briefly depicted President Trump in the middle of a set of green crosshairs. Right-wing media used what was an obvious software error to engage in dishonest smears against Cillizza and his employer, further exemplifying the lengths to which even mainstay conservative outlets will go with their efforts to delegitimize mainstream press. But it was too late. Reflexively, right-wing media activists and outlets that have been hungry to discredit legitimate press outlets by any means necessary latched on to the glitch to dishonestly smear Cillizza. CNN is blaming a “gif error” for the image it published depicting President Trump in the cross hairs. 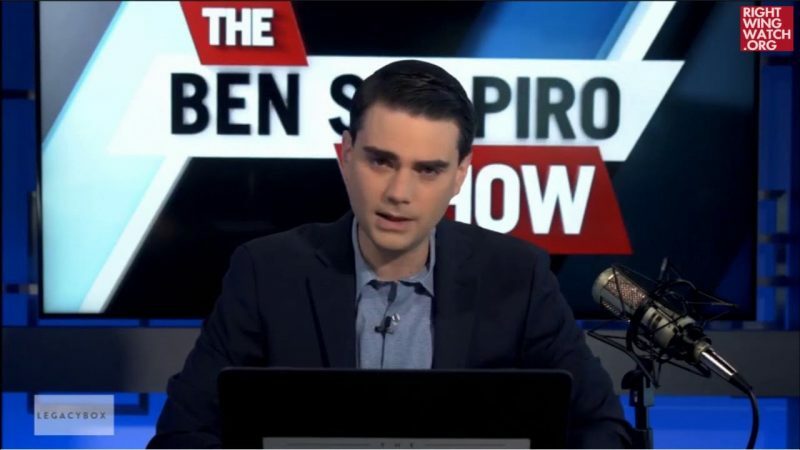 The smear was quickly picked up by right-wing hacks across conservative media. I just used GIF grabber to make a GIF of Chris Cillizza’s twitter timeline. CNN’s Chris Cillizza claims that his tweet that showed crosshairs on President Donald Trump was “unintended,” as he blamed the GIF maker that he uses. People who make death threats against the President of the United States are thrown in jail in this country. Conservatives with long memories weren’t impressed, calling to mind a map Mrs. [Sarah] Palin had put out in 2010 in which crosshairs were placed over 20 Congressional districts she and John McCain had won in 2008 but had Democratic incumbents in the upcoming 2010 elections. One of the districts was that of Mrs. Giffords. Led by Daily Kos founder Markos Moulitsas, Mrs. Palin was blamed for the attack on her that killed six other people, even before the name of gunman Jared Lee Loughner had been released, much less any ties proven between him and Mrs. Palin or tea-party politics (there were none). 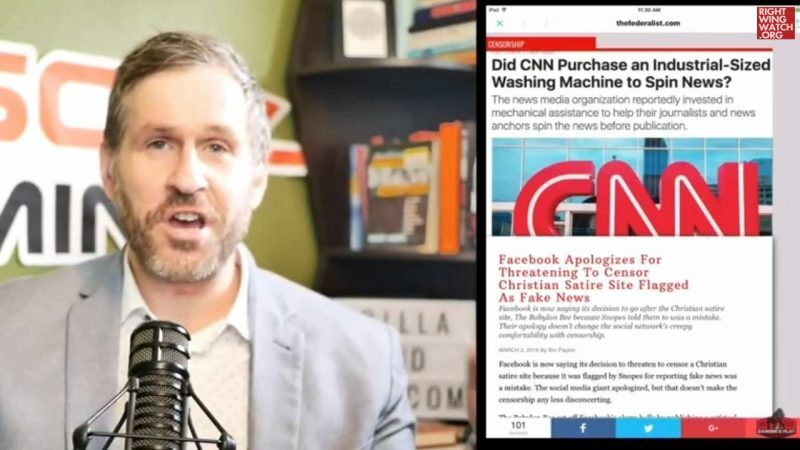 Well, CNN stepped in it again. Editor Chris Cillizza tweeted and then deleted a photo of Trump in a sniper’s crosshair. It’s certainly something that would catch the attention of the Secret Service. It’s certainly not appropriate for a member of the news media to do it. Cillizza’s tweet follows a trend of violent rhetoric from members of the media, including CNN analyst April Ryan recently joking about getting into a fist fight with White House press secretary Sarah Sanders and MSNBC anchor Nicolle Wallace suggesting she wants to choke Sanders. Several people have since pointed out to me that there is a version of the app that has the “crosshairs” seen in Cillizza’s GIF on their screen capture. As Splinter pointed out, this “incredibly dumb episode” shows that right-wing personalities seemed to believe, or at least tell others, that Cillizza was secretly an anti-fascism protester hellbent on killing the president, a notion that anyone with even a vague familiarity with Cillizza’s work would quickly dismiss.